I have been using my Jeep for all of my regular activities, while at the same time, getting it ready to be a show piece at the 2015 SEMA show. It is a true daily driver. How do I keep it show clean without drastically changing my otherwise dirty routine? The Aries Seat Defender helped me greatly in this endeavor. If ever a product was designed just for me, this one is it. I tell everyone that the older I get, the harder I have to work to keep pace on the trails. Thus, you should expect me to sweat a little more than I used to-right? – at least it sounds good! The bottom line is that I usually end up soaking wet after trail running, hiking, or mountain biking. Getting into a car in that condition is a sure fire way to stain and destroy the seats, not to mention the lingering odor that will greet your next passenger. My Wet Okole seat covers are fantastic, but I don’t want to destroy them either. Towels are a good buffer, but they just leak right through. 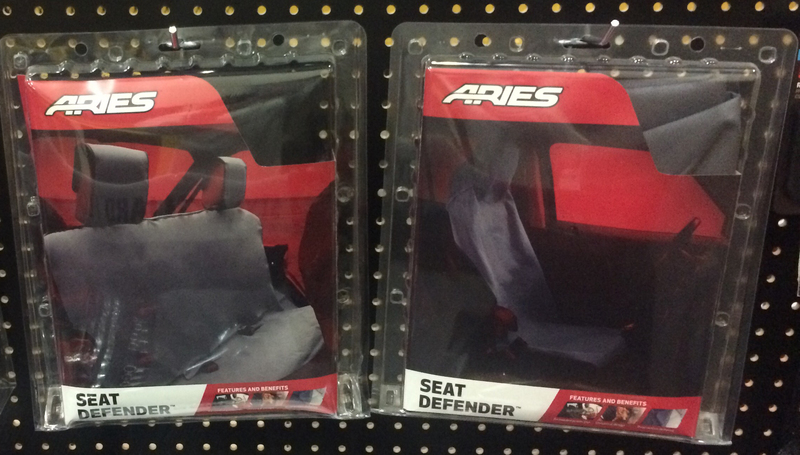 I was thrilled to find the Aries Seat Defender which is a temporary seat cover that is only used when you need it. The cover slips over the headrest and lays flat over the rest of the seat. 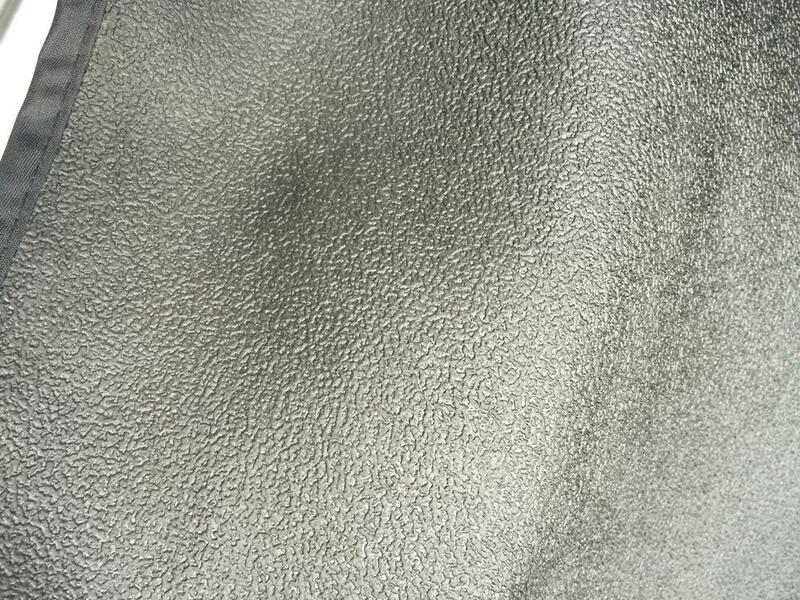 The Defender is made of a (2) layer material; woven terelene on the top and thermoplastic rubber on the bottom. Water, sweat, or dirt cannot pass through the material and normally stay pooled on the top until you dump the cover outside after driving. When not in use, the covers are small enough to be rolled up and placed in one of the Rightline Gear Roll Bar Storage Bags. 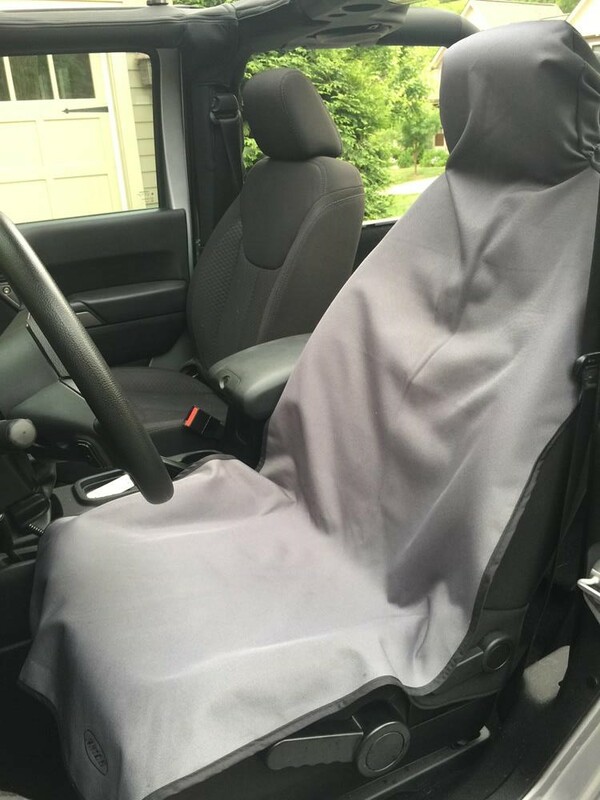 Aries makes the covers for bucket and bench seats and they are not vehicle specific, so one set will work for your Jeep and your other vehicle(s). The Seat Defenders also work great to protect your seats from your pets, their hair, and their odors. After a few uses, the Seat Defenders can be hosed off or run through the washing machine. I use a Seat Defender multiple times every week and couldn’t be more pleased with how easily it has taken away an otherwise difficult problem. I even bought one for my passenger seat. My Jeep’s seats are still going to look fantastic at the SEMA show no matter how dirty I get in the meantime. Aries Automotive is part of Curt Manufacturing, one of our Jeep Build Sponsors.